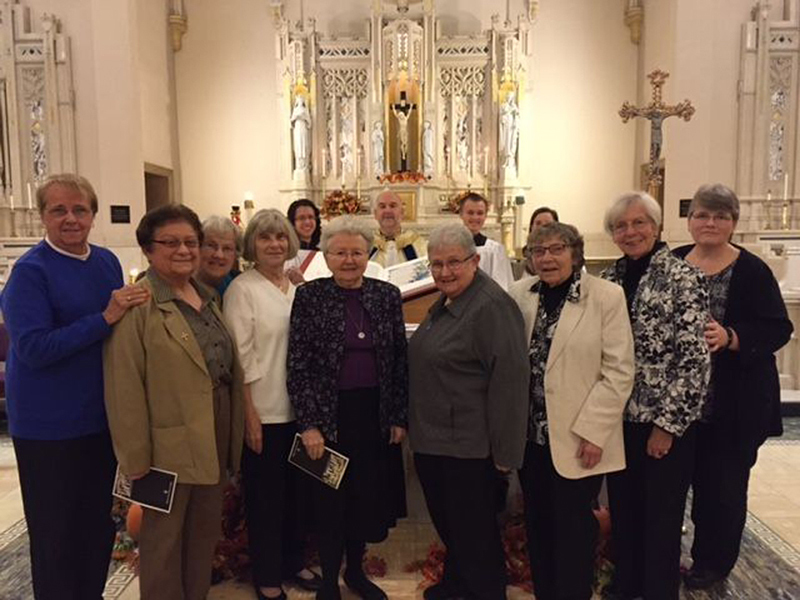 Dominican Sisters of Hope recently gathered at Mount Saint Mary College’s Chapel of the Most Holy Rosary to celebrate the 800th Jubilee Year of the Order of Preachers. Photo by Barbara Petruzzelli. NEWBURGH, N.Y. – December 2015 – Members of the Dominican Sisters of Hope and the Mount Saint Mary College community gathered recently to celebrate the beginning of the 800th Jubilee Year of the Order of Preachers. The Solemn Vespers service was held in the Mount’s Chapel of the Most Holy Rosary in the Dominican Center. Former Mount communications professor Sr. Catherine Walsh, OP, who has been a Dominican Sister for more than five decades, delivered the homily at the Solemn Vespers. Walsh entered the Dominican Sisters after high school and graduated from the Mount with a degree in English and certification in education. In the college’s division of arts and letters, she was responsible for developing the media studies major and implementing the public relations major. She retired as division chair.